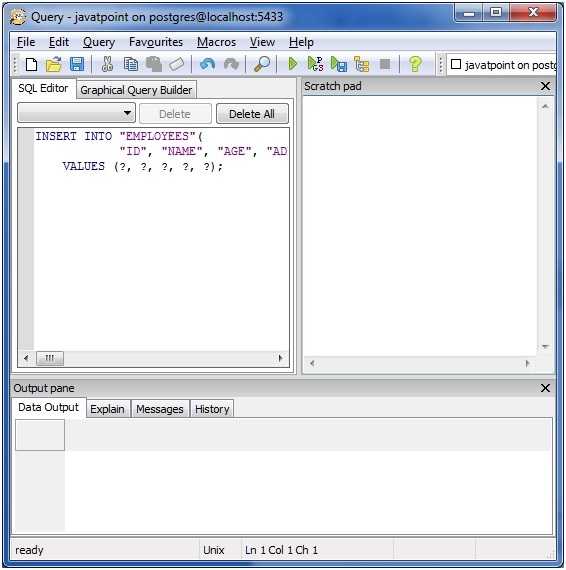 In PostgreSQL, the INSERT query is used to insert new rows into a table. 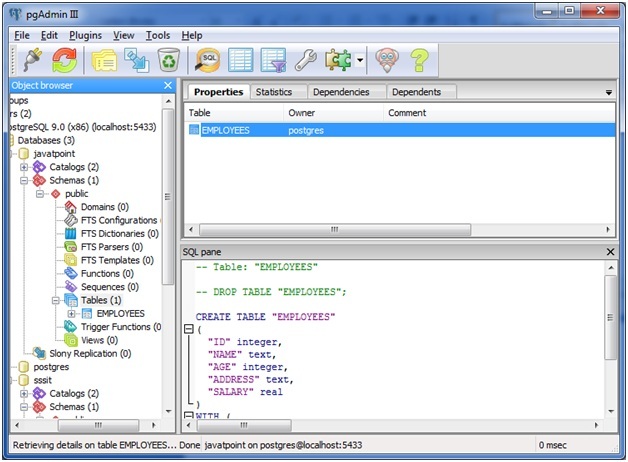 You can insert a single row or multiple rows at a time into the table. 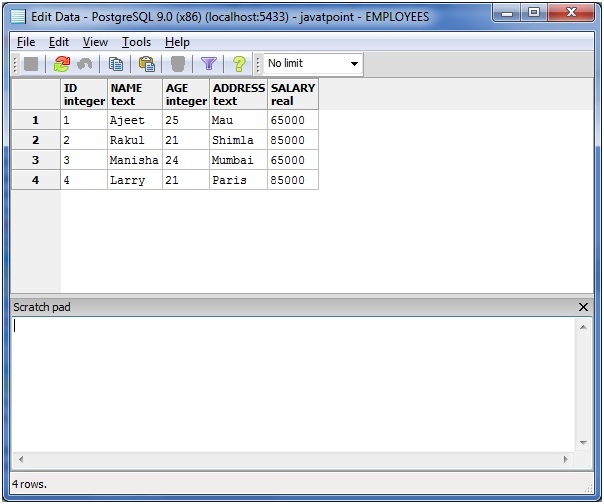 Note: column1, column2,...columnN are the names of the columns in the table into which you want to insert data. Select table "EMPLOYEES" and right click on that. You will see an option script, move your cursor over scripts, you will see "INSERT script" option. Click on that. Put the values on the place of "?" 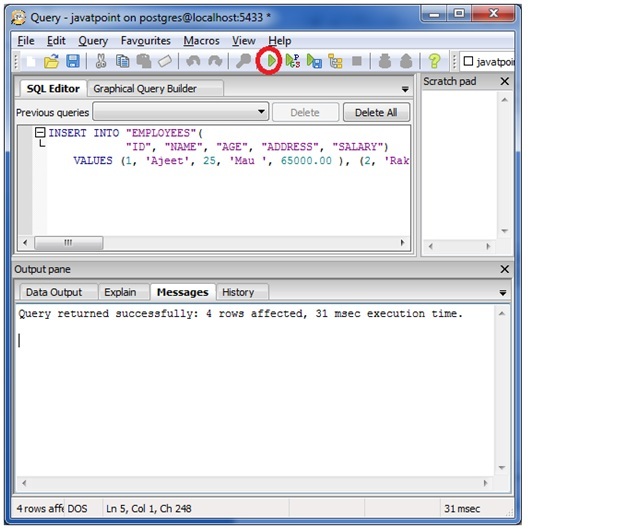 and then click on the "play" button (marked in red circle) to execute the query. 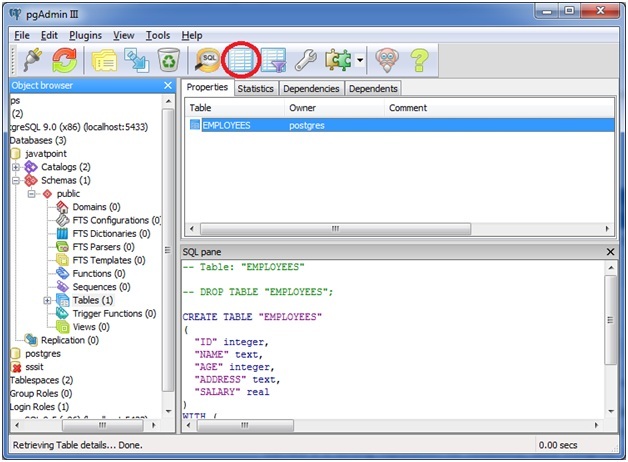 You can see the output of the selected table by clicking on the table like structure marked in red circle.